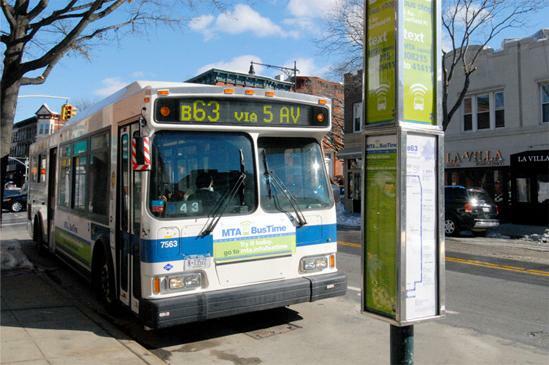 You can also look up a bus stop code online by searching for a route or location using MTA Bus Time for Desktop Web, Mobile Web (and Text-only) or by SMS/text messaging an intersection (add your route for best results) to SMS/Text Messaging. 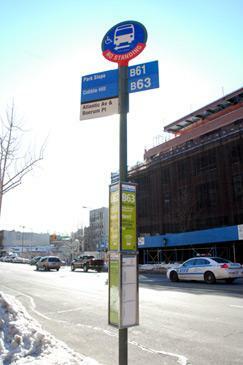 At bus stops, look for the green "MTA Bus Time" signs on bus stop pole boxes that have instructions on how to access MTA Bus Time via SMS/text message for the stop you're currently at (the top sign), or any other stop along the route (the bottom sign). Text the 6-digit stop code (also add your route for best results) to 511123 to get info on upcoming bus arrivals for that stop. If you have a smartphone, you can also scan a QR code using the instructions below to be directed to a mobile webpage for that stop. 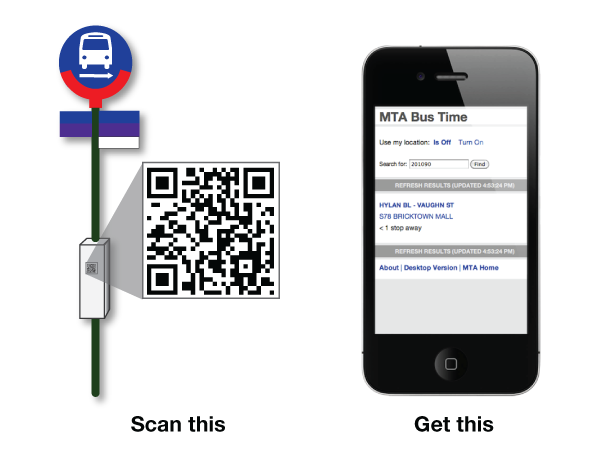 If you're at a bus stop you can also use your web-enabled smartphone to scan a Bus Time QR Code located on the Guide-A-Ride, i.e., the bus stop pole's rectangular box that displays the route maps and bus schedules.